WASHINGTON --- The State Department has made a determination approving a possible Foreign Military Sale to Bahrain of AH-1Z attack helicopters for an estimated cost of $911.4 million. The Defense Security Cooperation Agency delivered the required certification notifying Congress of this possible sale today. The Government of Bahrain has requested twelve (12) AH-1Z attack helicopters, twenty-six (26) T-700 GE 401C engines (twenty-four (24) installed and two (2) spares), fourteen (14) AGM-114 Hellfire Missiles, and fifty-six (56) Advance Precision Kill Weapon System II (APKWS-II) WGU-59Bs. This request also includes fifteen (15) Honeywell Embedded Global Positioning System (GPS) Inertial Navigation System (INS) (EGI) w/Standard Positioning Service (SPS) (including three (3) spares), twelve (12) Joint Mission Planning Systems, twelve (12) M197 20mm gun systems, thirty (30) Tech Refresh Mission Computers, fourteen (14) AN/AAQ-30 Target Sight Systems, twenty six (26) Helmet Mounted Display/Optimized Top Owl, communication equipment, electronic warfare systems, fifteen (15) APX-117 Identification Friend or Foe (IFF), fifteen (15) AN/AAR-47 Missile Warning Systems, fifteen (15) AN/ALE-47 Countermeasure Dispenser Sets, fifteen (15) APR-39C(V)2 Radar Warning Receivers, support equipment, spare engine containers, spare and repair parts, tools and test equipment, technical data and publications, personnel training and training equipment, U.S. government and contractor engineering, technical, and logistics support services, and other related elements of logistics and program support. The total estimated cost is $911.4 million. This proposed sale will contribute to the foreign policy and national security of the United States by helping to improve the security of a major Non-NATO ally which is an important security partner in the region. Our mutual defense interests anchor our relationship and the Royal Bahraini Air Force plays a significant role in Bahrain's defense. The proposed sale improves Bahrain's capability to meet current and future threats. Bahrain will use this capability as a deterrent to regional threats and to strengthen its homeland defense. This sale will improve interoperability with U.S. forces. Bahrain will have no difficulty absorbing these helicopters into its armed forces. (EDITOR’S NOTE: A $911.4-million price tag for 12 helicopters works out to $75.6 million for each helicopter. 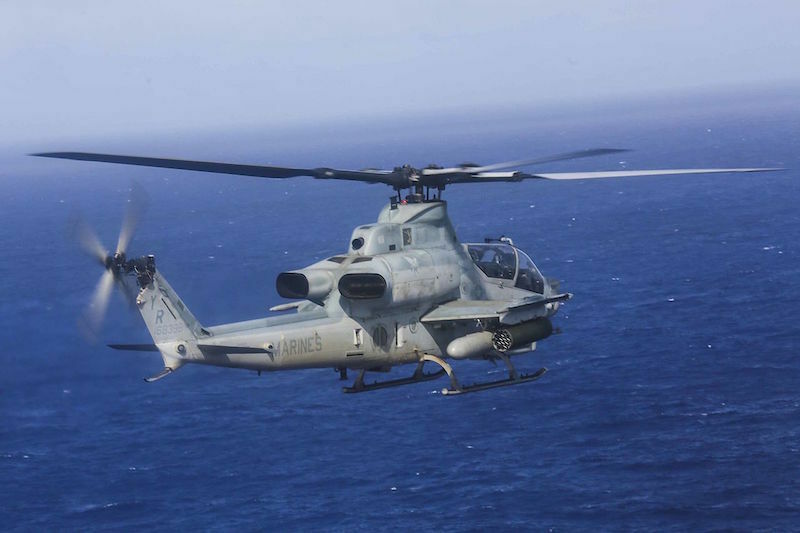 This is more than twice as much as the Marine Corps is paying for the 25 AH-1Zs it is buying for $820.8 million in FY2019 (i.e., $32.8m each).